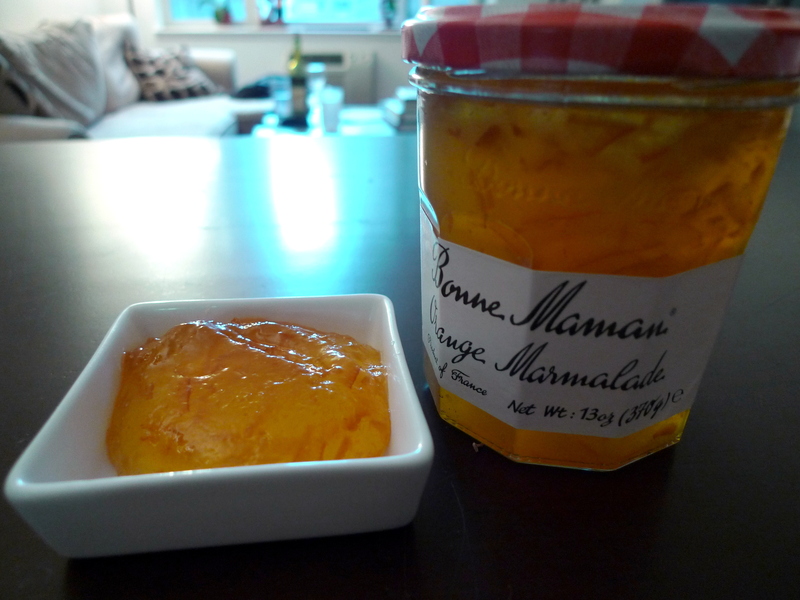 I saw this recipe in the Food Network Magazine and had immediately wanted to try it; the idea of roasting a chicken in an orange marmalade sounded delicious! 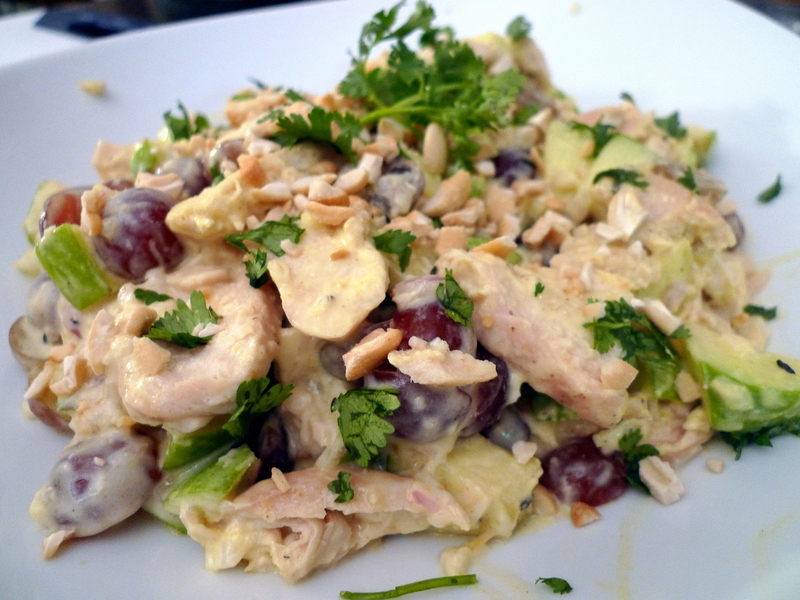 The chicken is then tossed into a salad of green apples, red grapes, shallots, Greek yogurt, cashews, and a bit of curry and cumin seasoning. This combination reminds me of my favorite Così® Signature Salad, which is basically greens with red grapes, green apple, Gorgonzola cheese, pistachios and a shallot dressing (I think pistachios would be a fantastic substitute for cashews in this recipe!). I made this according to the recipe below but with a few adjustments as I think it didn’t need as much curry powder and cumin seeds. I made this “normal size” and then also “hors d’œuvre” size to fit into baked Wonton Baskets as a fun finger-food dish for a party. Basically, this just meant I cut all the ingredients up into smaller pieces. To fill about 24 wonton baskets, just 1 chicken breast was plenty (so half the recipe below). This was super easy to put together and very flavorful — I highly recommend as a great party appetizer idea! 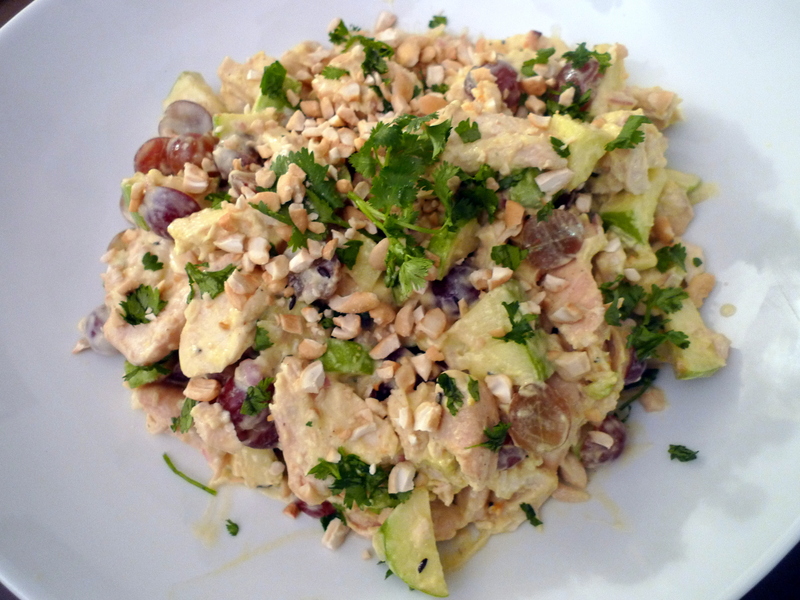 For another version of a chicken salad, check out this Chilean Palta Reina. For another delicious chicken salad, try a Chinese Chicken Salad. Preheat the oven to 425°F. Line a baking sheet with foil. 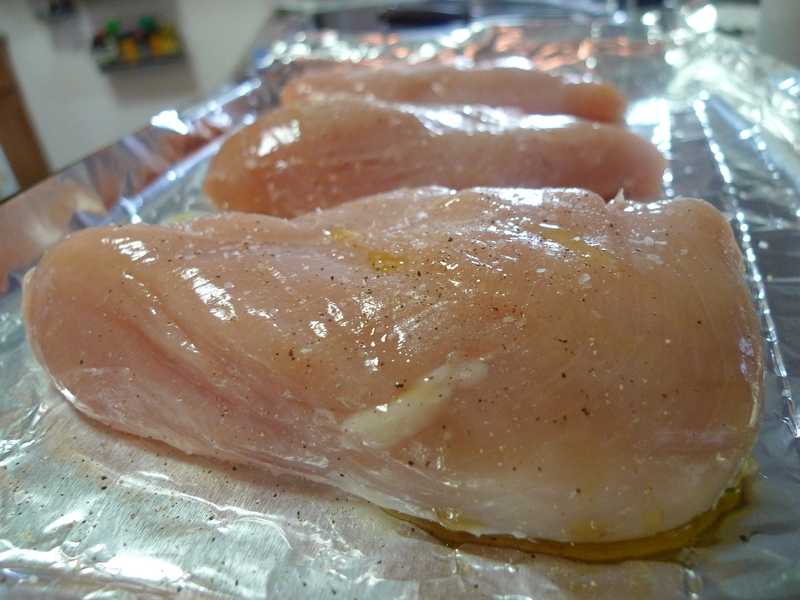 Put the chicken breasts on the foil and drizzle with olive oil. Sprinkle with salt and pepper and rub until coated. Pop the chicken in the oven and roast until a thermometer inserted into the thickest part registers 150°F, 15 to 20 minutes. Switch the oven to the broiler setting. Brush 1 T marmalade on each chicken breast. Broil, brushing occasionally with the pan drippings, until the chicken is cooked through and golden, about 5 minutes. Let cool. Meanwhile, build the salad: Toss the shallots, apple, grapes, lime juice, yogurt, 1/2 tsp salt and the remaining 1 T marmalade in a large bowl. Heat the canola oil in a small skillet over medium heat until shimmering. 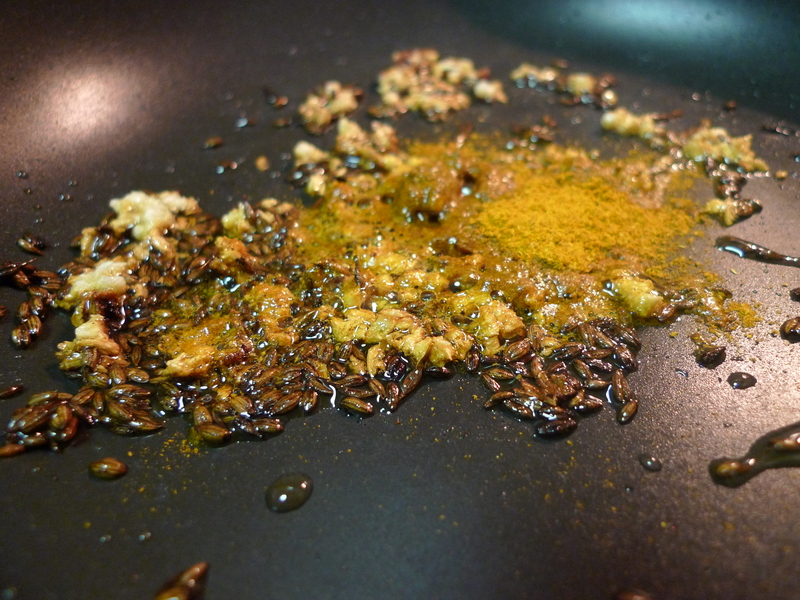 Add the cumin seeds and garlic; cook until the seeds stop popping (cover if they’re popping out of the pan). Quickly add the curry powder; cook, stirring, 30 seconds, then pour the spiced oil over the yogurt mixture. Stir until combined. 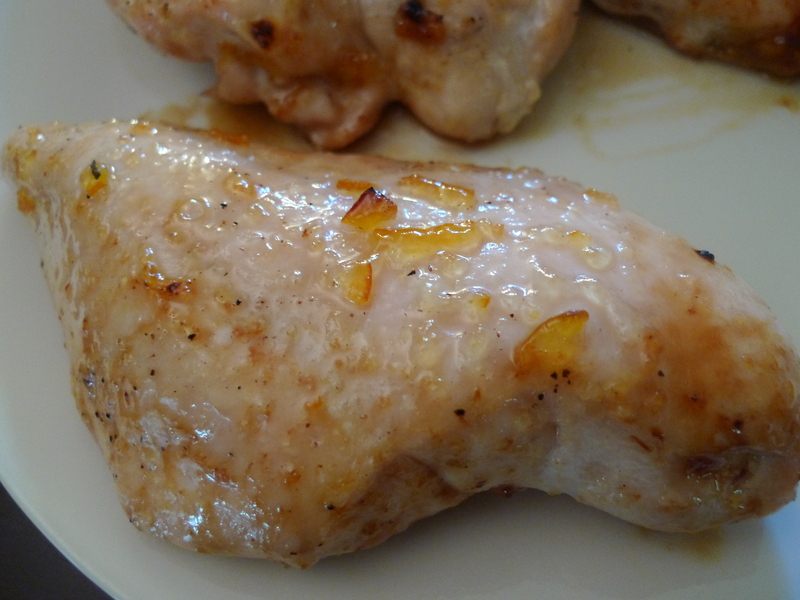 Once the chicken breasts are cool, thinly slice them into bite-sized pieces. Fold into the salad and adjust the salt and pepper. Top with the cashews and cilantro and enjoy! Awesome presentation- I love the colors! Normally I’m not a fan of chicken salad but this one looks so delicious!